As the title states: What language was spoken between Mary of Burgundy and Maximilian I. of Habsburg? I could think of three possibilities: Latin, French and German, but am leaning towards German. They likely spoke a combination of German and French. It's not entirely clear what they were speaking while teaching their respective mother tongues to each other - most likely Latin, maybe Flemish, maybe some combination of Flemish and German (the two are related enough that you can pick up what was meant every now and then). Maximilian spoke 6 or 7 languages depending on the source; but not French until Mary taught him. Mary spoke French, Flemish (which is related to German), and Latin; and then learned German. Mary taught Maximilian French and he taught her German. The two claims seem repeated here and there on other sites. While they could not, at first, speak each other's native languages, they taught each other and communicated well. 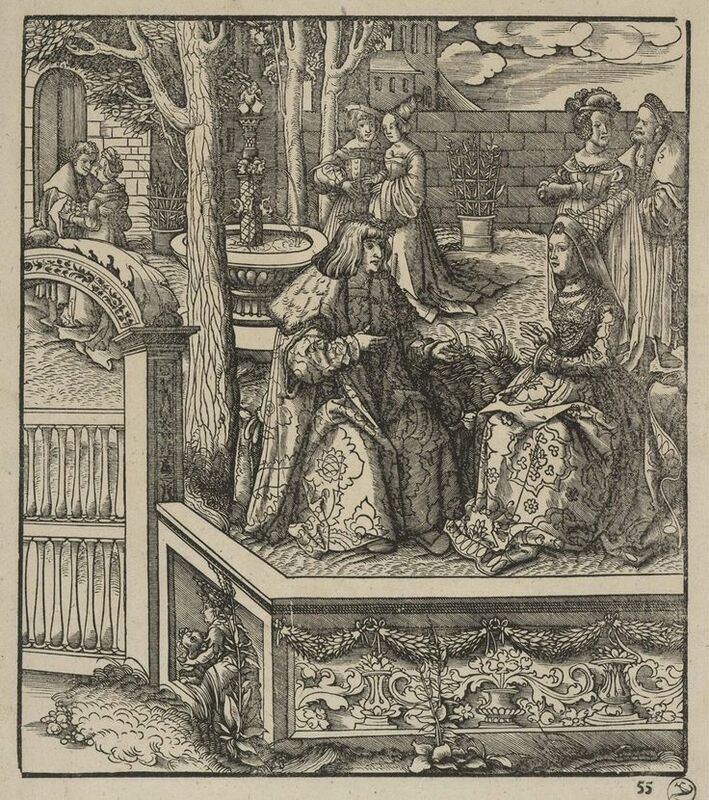 Maximilian I of Austria learning the language of Burgundy from his wife Mary of Burgundy. Leonhard Beck, circa 1514 – 1516 | Museum Boijmans Van Beuningen. This article suggests he spoke six languages. Mary of Burgundy was an educated woman, in addition to French and Flemish, she knew Latin, studied history. Not the answer you're looking for? Browse other questions tagged middle-ages renaissance holy-roman-empire or ask your own question. Why did Charles V divide his holdings as he did? Which early rulers used the title of King of Italy? Did foreign language phrase books exist in the ancient world?